When attacking a web application, I will frequently encounter a web application firewall (WAF) which greatly slows, or outright prevents classes of attacks. There are many guides available that discuss techniques for evading specific WAF protections. Following is a different take on this common challenge. In this post, I will discuss techniques for discovering the location of the protected web application origin server on the internet. If the origin is poorly configured, this can allow absolute bypass of the WAF. If anything, this exercise may expose revealing information about an application, and can expand the available attack surface. The WAF may be incidental. Developers may use Cloudflare specifically for site performance and uptime. 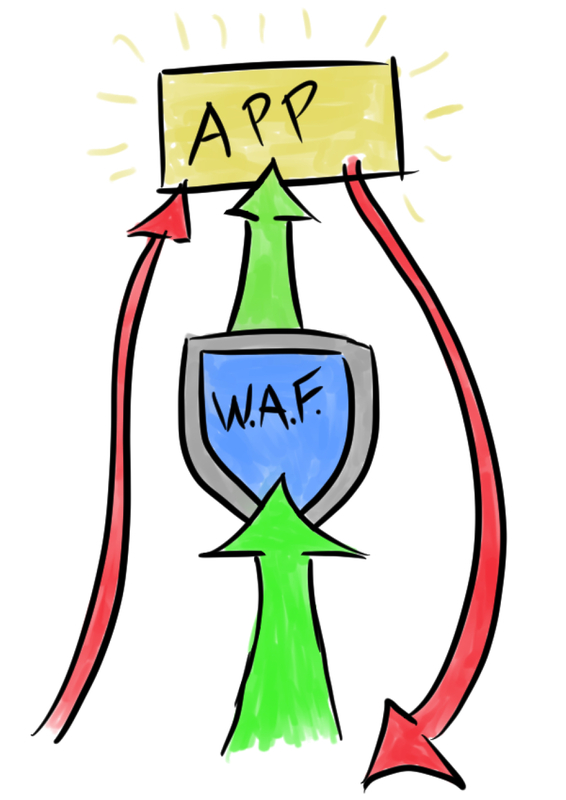 The WAF is added value. Security was never the primary purpose, and so the origin configuration is neglected. The bar of entry has been lowered. Services such as CloudFlare, Sucuri, and the various WAF-as-a-service offerings by most cloud providers have a push-button deployment. Unsophisticated developers or sysadmins may deploy these services without properly configuring the origin. They probably get “good enough” results, anyway. If the origin is on the internet, it’s worth spending the time to search for it. Even if you don’t get unbridled HTTP/HTTPS access, you may find other services there, or other interesting hosts nearby. If anything, it always helps to augment the OSINT database. Here are some techniques I’ve successfully used to find origin servers.